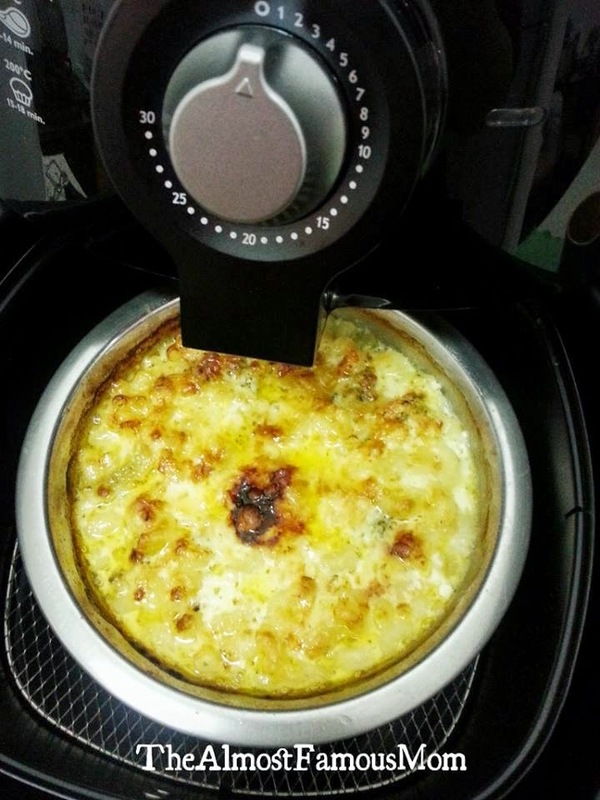 Mac and Cheese the Airfryer Way for Junior's lunch as he will be tagging along with me today for my Christmas Lunch with my colleagues. Then now you might be wondering why do we have such an early Christmas celebration (and yes we have the Christmas gift exchange too) because most of us will be away for a long holidays and will only come back to work in 2015 (a.k.a Annual Leave Clearance time). Junior's nanny had a little accident on stairs and she is not fit enough to look after him so I have no option but to cook up a quick, simple and easy meal for him. 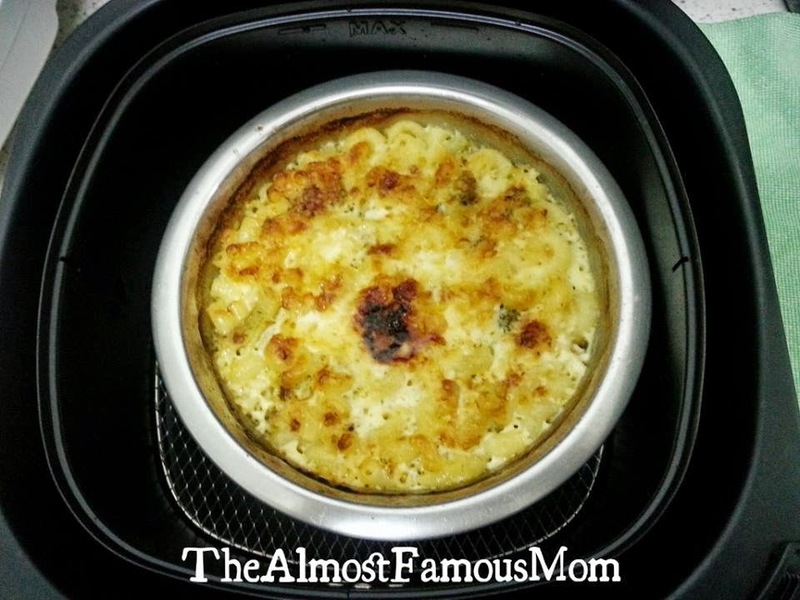 It only takes three steps to make this Mac and Cheese that melt-in-your-mouth mainstay. Preheat the Airfryer at 200°C. Bring a pot of water to boil over high hear, reduce the heat to medium and add macaroni and vegetables. Simmer until macaroni is al dente and vegetables are tender but not mushy (about 7-10 minutes). Drain pasta and vegetables and return them to pot. 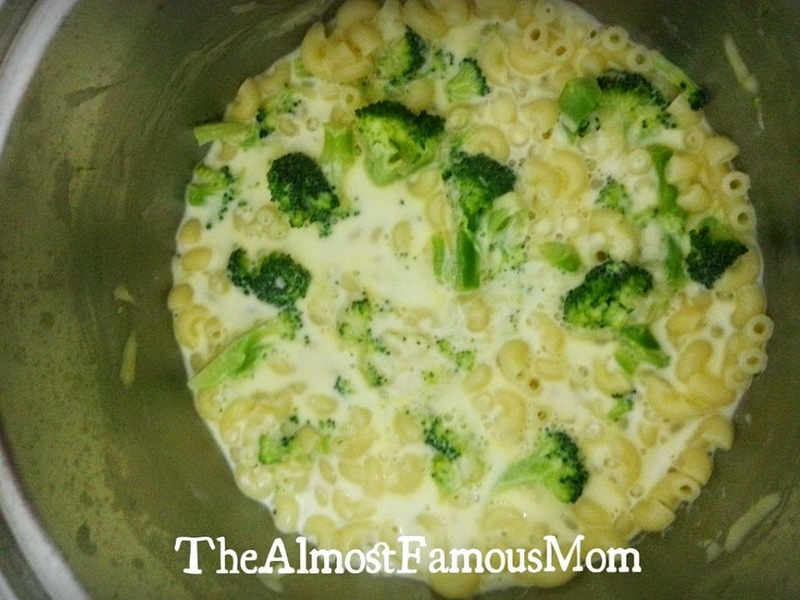 Add milk and Cheddar cheese to the macaroni and vegetables, and toss to combine. Season with pepper and salt. Pour pasta mixture into a ovenproof dish. Sprinkle the Parmesan cheese over top. Place the dish on the AirFryer basket and adjust the temperature to 180°C and bake for 15 minutes (the pasta will be bubbling). 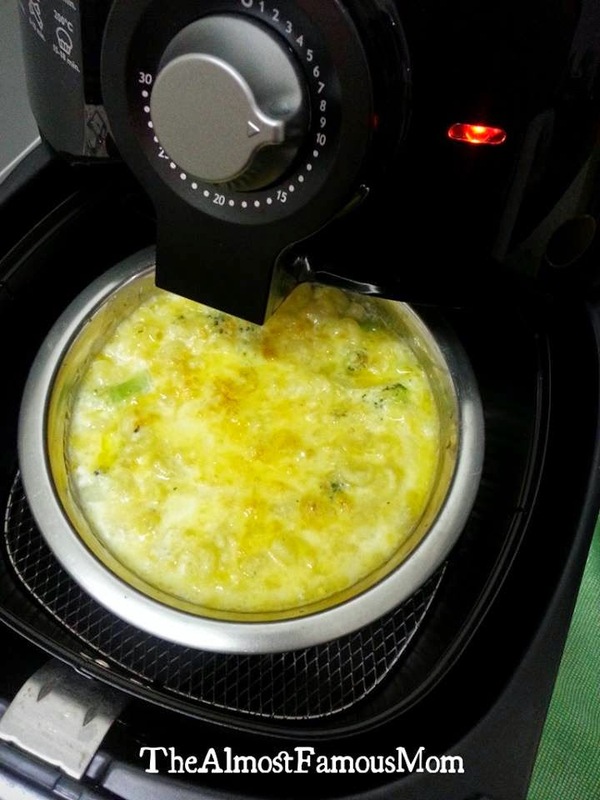 Allow to sit for 5-10 minutes in the AirFryer before serving. Tips: You can make it with or without vegetables. Broccoli and Cauliflower pieces are convenient choice because the cooking time is the same as for the pasta.